HARMONY® Sunflower Seed Cones are a great way to encourage a wide range of wild birds to visit your backyard. 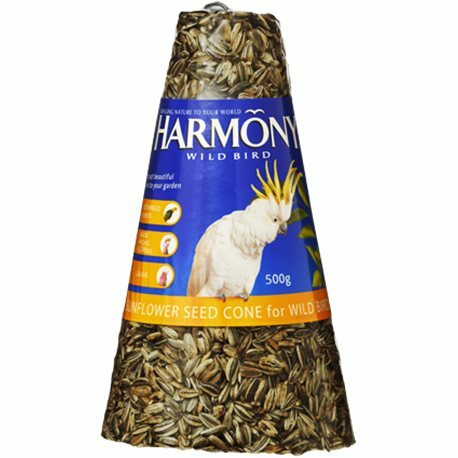 As part of a varied feeding regime HARMONY®Sunflower Seed Cones are a healthy supplement to a wild birds natural diet, are blended with Honey (not edible glue) and are a great way to get your backyard alive with colour! 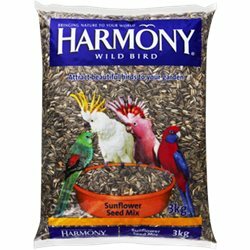 Even better, they have their own hanger, so you don’t need a feeder, just hang from a tree branch and you’re away! Using HARMONY® Sunflower Seed Cones is the first step in making your backyard a bird-friendly haven. 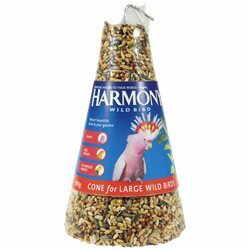 Go to our Backyard Habitat section for some other tips on things you can do to brighten up your backyard with birds all year round.